In the wake of the school shooting tragedy in Newtown, Conn., Essexville-Hampton Public Schools sought to upgrade security features throughout buildings in the district, so it sought help from Essexville Electric. 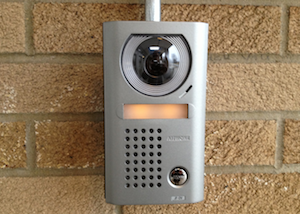 We equipped each of the district’s five buildings with a video intercom that allows someone inside the school’s office to confirm a visitor’s identity before unlocking the front door. Essexville Electric continues to work with other schools throughout the Great Lakes Bay Region in upgrading their security systems. Learn more about our E-Tec Security & Access division here. Learn more about the Essexville-Hampton Public Schools security upgrades in this MLive.com article.